ARTIST STATEMENT "My visual interpretations are meant to be simple but emotional images that convey a feeling of calmness and serenity. The play of light on landscape and details in nature excites me to no end." NIOBE BURDEN is a visual artist who spends her time between Lake Tahoe, California and Annecy, France capturing unique perspectives of light on landscape. Primarily self- taught, she has supplemented her practice with commercial studio and location assisting, set preparation and styling, custom lab photo printing, and professional workshops and lectures. She holds a BS in Business from the University of Maine where she grew up. The compelling beauty of the places she has lived has captivated her since she was young. Growing up on the coast of Maine. she later took advantage of traveling on a shoe string budget to many aesthetically beautiful and culturally rich places in the world. In 1998 she moved to Lake Tahoe, California and since has been sought for her instructional style. To be a successful artist, you need to be business smart, listen carefully to your clients, and be able to interpret their needs creatively and effectively. She believes finding your true niche where this comes easy, equates to doing what you’re most passionate about. 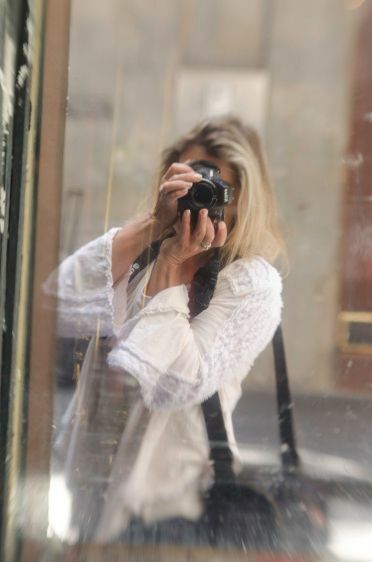 Following her husband's employment moves, she has had the opportunity to live in Sydney, Australia for two years and now in Europe which has rekindled her passion to create new collections of work covering her travels. She has instructed and lead photo tours in Munich, Bavaria and the Alps nearby. She recently moved to Annecy, France where she hopes to do the same and also build a new collection of work of Lac d'Annecy which reminds her of her home in Lake Tahoe.